Chances are you’re taking photos a lot of photos, for work… for family… just for fun. Are your photos vibrant, interesting, or provocative? If so, you may have the opportunity to be published in the 2015 Bridges Calendar. If not, you probably just need a couple of pointers to make your camera phone shots award winners. 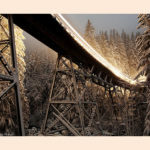 I was recently asked to participate as a judge of the 2015 Bridges photo submissions. My selection should demonstrate ASCE’s commitment to amateur participation. I’ve never taken a course in photography and the most sophisticated camera I’ve ever owned is a point-and –shoot Canon Powershot now retailing for less than $100. But, I take photos all the time, for work, for family, for fun. January 2014 Calendar – Yaquina Bay Bridge in New Port, Oregon. Photograph by Ben Leshchinsky, Corvallis, Oregon. Notable for its Gothic and Art Deco motifs, it is one of 11 bridges designed by Conde McCullough for the Oregon Coast Highway in the 1920s and 30s. I’ve picked up a few tips that have saved me repeat trips to the job site for better photos preserved more space on my memory stick. Here are some suggestions for better photos based on previous winners and my personal collection. Just one pointer could help land your image on the next calendar cover. Ben Leshchinsky’s photo of the Yaquina Bay Bridge, featured in the 2014 Bridges Calendar, is a good example of composition – the position of different elements in the frame. Note that the bridge is not strictly centered in the frame, and there are interesting elements around the periphery. The longer you look at the picture, the more interesting it becomes. 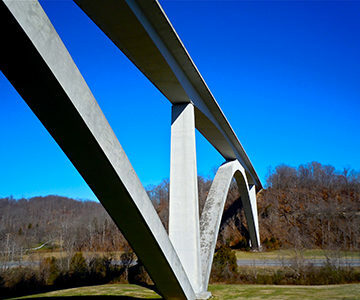 Best Photo by an ASCE Student Member – Natchez Trace Parkway Bridge, Williamson County, Tennessee. Photograph by Samuel Havely, Athens, Alabama. Another interesting feature of the photo is that it’s taken on an overcast day. It helps that it’s taken at near dawn or dusk, because I read that’s the golden hour for landscape photos. 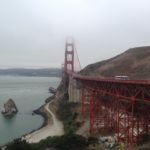 Even so, my marketing staff has encouraged us to take site overview photos on overcast days. Less glare off the buildings helps the interesting details show through. This photo of the Natchez Trace Parkway Bridge, by ASCE student member Samuel Havely, makes the cut I think because of the interesting play of light and shadow on the bridge. It’s very important to consider where the light source and how it affects your subjects. Generally, it’s best to have the light behind you or to the side, otherwise the brightness will wash out the subject. Many digital cameras make programmed decisions on how to handle brightness and will adjust based on the auto settings for various scenes. Those settings may impact the exposure compensation, without which the camera could try to make white snow gray. Many cameras have a +/- symbol to move the scale from dark to light. Tapping the screen on your iPhone to identify the subject may also help it adjust the exposure more appropriately. 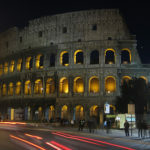 My photo of the Colosseum in Rome is pretty standard fare. You’ve no doubt seen similar photos of the Champs Elysees in Paris and Times Square in New York. Anyone can capture the blurred traffic and colorful backlighting simply by adjusting the shutter speed on their camera. I notched this one on my cheap powershot. Keeping the shutter open longer also allows more light to enter, so this is a good way to brighten photos in low light when a flash would be ineffective. Any subject can deliver a winning spread, you just need to find the right angle. The one piece of advice you’re guaranteed to find on every photography blog is to be creative. I took this photo of CHASE Tower in Chicago with a cheap old 35mm camera. It was one of my first trips to Chicago, before I had moved, so I took an architectural walking tour. The docent encouraged us to stand at the base of the parabolic sloped building columns and look up. I put my back against the wall, leaned back with the camera above my head and snapped the photo. At first glance, you can’t even tell what the picture is or from what vantage. 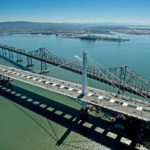 I hope some of these tips give you the confidence to contribute to the ASCE Bridge Photos contest. The deadline for submitting photos for the 2015 Bridges calendar is March 31st. Learn more and enter at www.ascebridgephotos.com. Ken, you undersell yourself as a photographer! We are excited to have both your engineering expertise and your eye for good photographs on our panel of judges.